While I’ve largely remained immune from the so-healthy-it’s-unhealthy obsession with juice, juice cleanses, and detoxes in the US, my 2 months here in Buenos Aires have changed that. 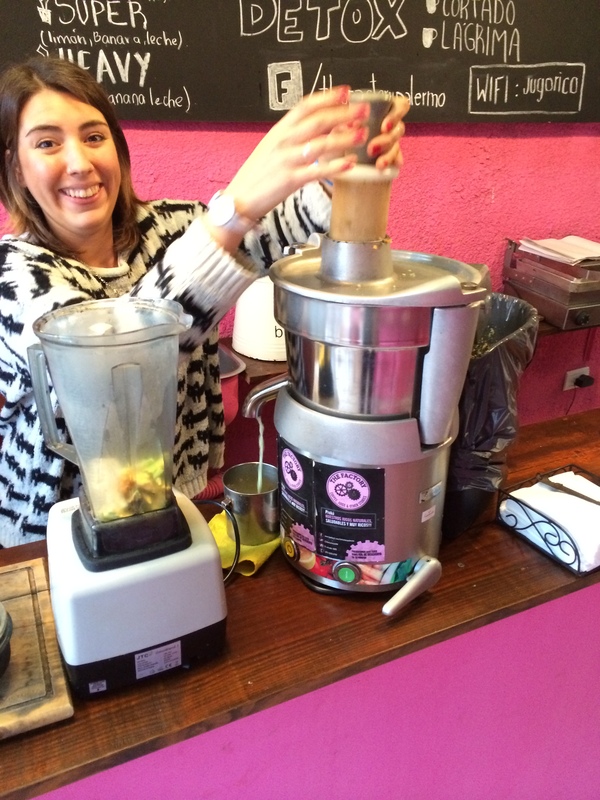 Ever since I stumbled across The Factory, a juice bar in Palermo, I found my true calling. Started by a Danish-Venezuelan couple, Ayaz and Liyanleth, The Factory opened it’s doors 2 years ago with a goal to promote a healthier lifestyle in Argentina. It’s clearly working since I’m pretty sure that The Factory is the only reason I haven’t got scurvy in this insanely fruit deprived city. 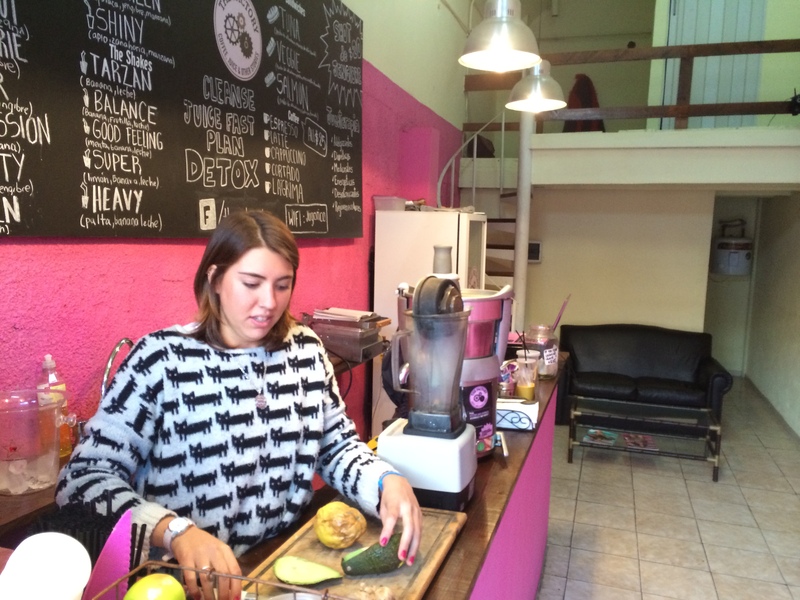 The space itself is cheerful and simple, with bright pink walls, and the juicer occupying center stage. One of the many great things about The Factory is that they make your order fresh, right in front of you. Talk about fresh and healthy. Aaaand, as if they needed to make it any better, they have stamp cards for deal sharks like me. After 8 juices, you get one free. I achieved this within my first month. It’s an addiction. 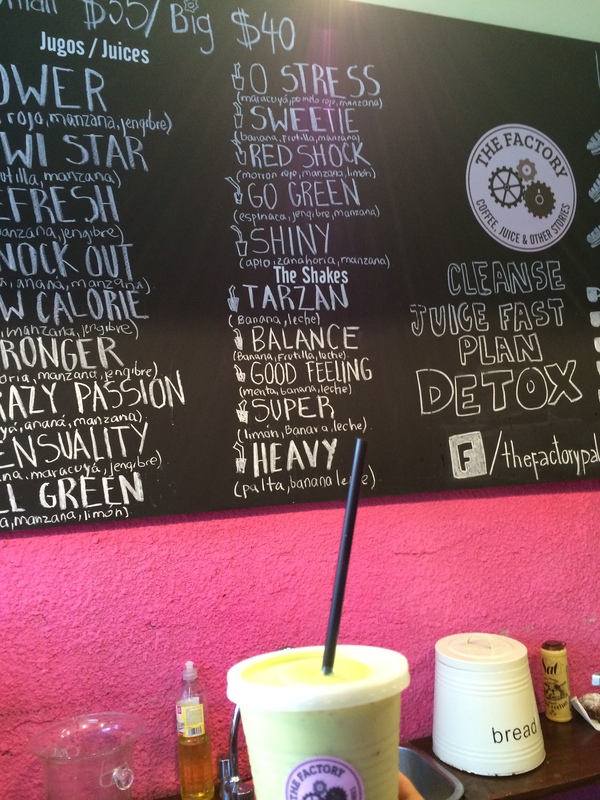 The factory also offers juice cleanses and detoxes which you can play around with.